The Message Inbox contains any messages you have received from customers through your website that you have not archived or deleted yet. 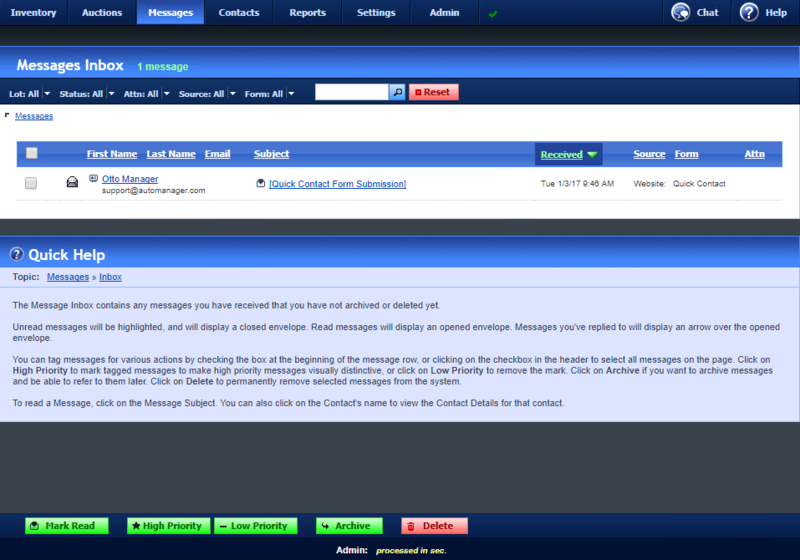 The Message Inbox can be accessed from anywhere in WebManager by hovering the mouse over Messages, then click Inbox. This view contains any messages you have received that you have not archived or deleted yet. 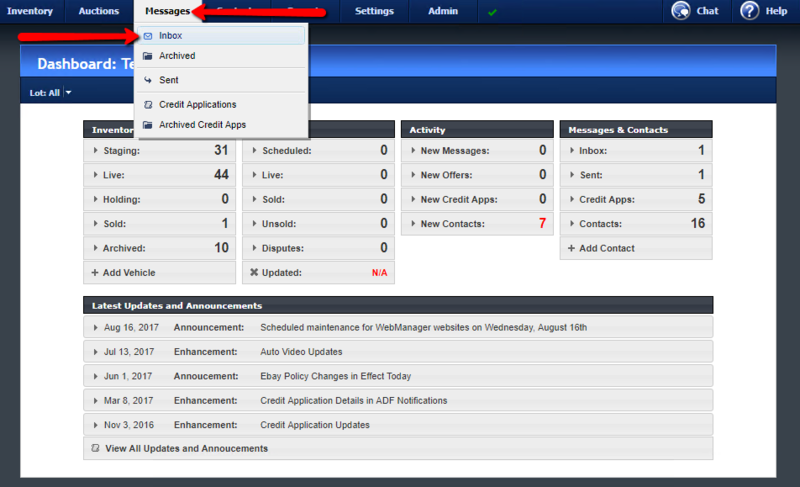 Unread messages will be highlighted, and will display a closed envelope ( ). Read messages will display an opened envelope ( ). Messages you’ve replied to will display an arrow over the opened envelope. You can tag messages for various actions by checking the box at the beginning of the message row, or clicking on the checkbox in the header to select all messages on the page. Click on High Priority to mark tagged messages to make high priority messages visually distinctive, or click on Low Priority to remove the mark. Click on Archive if you want to archive messages and be able to refer to them later. Click on Delete to permanently remove selected messages from the system. To read a Message, click on the Message Subject. You can also click on the Contact’s name to view the Contact Details for that contact.